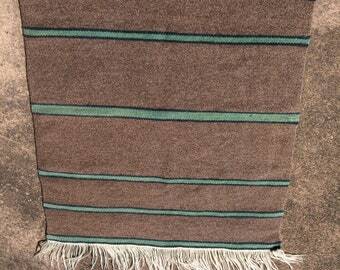 Handwoven, hand dyed wool rug. I rescued it from an estate sale. There is a tag attached to the back. 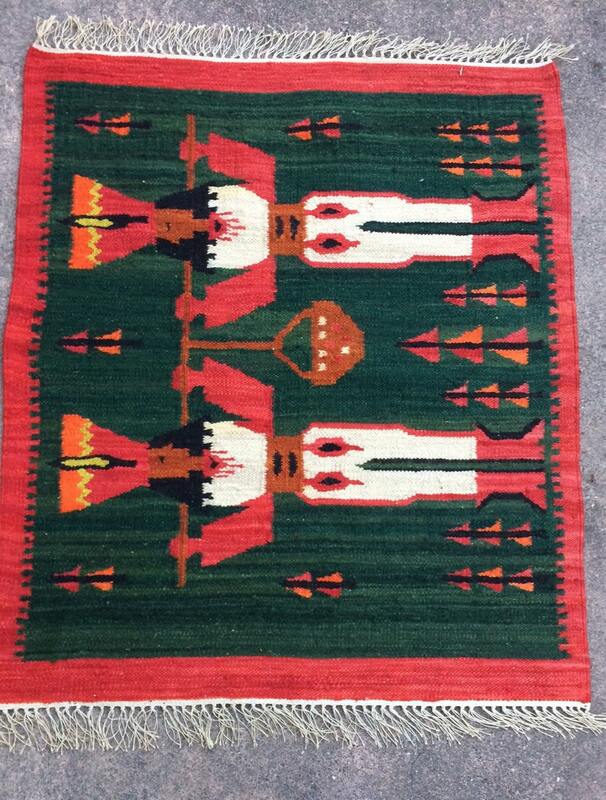 They labeled it a 'kilim', name of kilim is Janosiki. Designer name is D. Domanska. Weaver name is J. Elzbieciak. 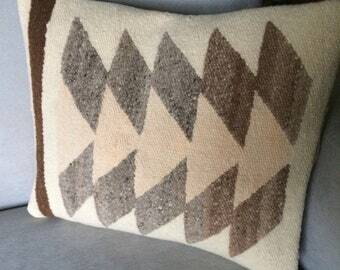 If you google the designer name you'll find other pieces, woven in the 70's. Wool with flax warp. Stamped near the bottom is 'Made in Poland'. Like new condition. Someone either never used this or they used it as a wall hanging. Would be gorgeous used as either a rug or a wall hanging.